2012 Vancouver Fashion Week opening gala for the fall/winter season at Opus Hotel in Yaletown on March 20, 2012. Melissa Guillergan, Sophia Cheng, and Ange Leung (above) drinking beers on the penthouse suite patio overlooking Yaletown. 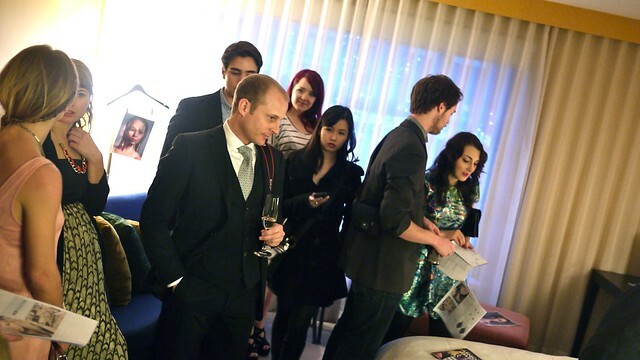 Fashionistas and onlookers taking in pieces and designs at #VFW12's opening gala. 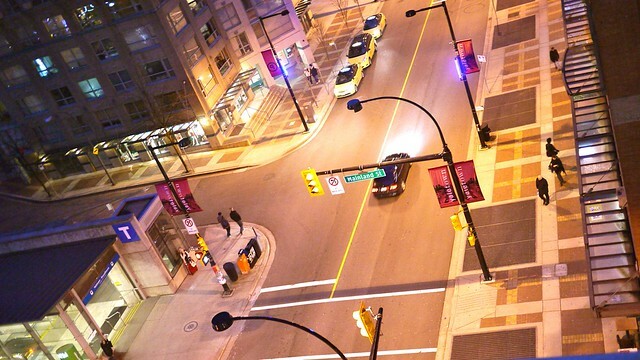 Viewing the streets of Yaletown from on the seventh floor away from the jam-packed lobby crowd. 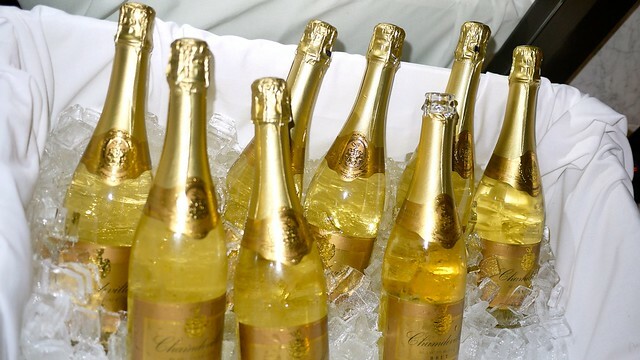 Enjoying champagne on ice and lounging upstairs. Like a boss. Busy tweeting, VFW social media coordinators Sandra Chung and Naja A. Kader. 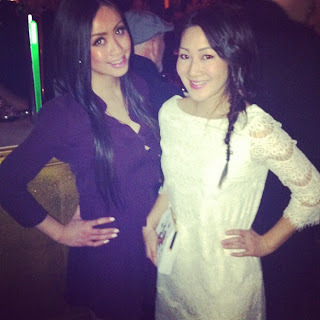 Left: The lovely Kristin Yen posing with singer Kristie Yung. 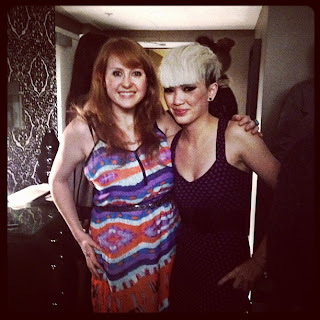 Right: #1 ginger Cyndi Hunter and Sandra smiling brightly. 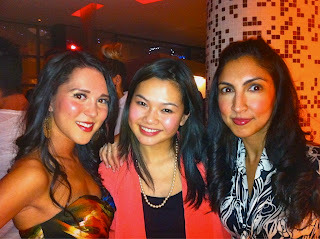 Left: Miss Canada 2011 Tara Teng with CBC reporters Justine Ma and Meera Bains. 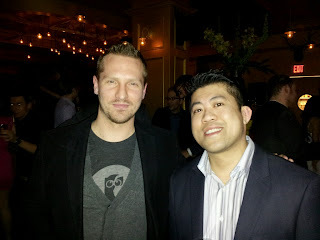 Right: Popcorn marketing kernels Nick Routley and Dennis Pang. 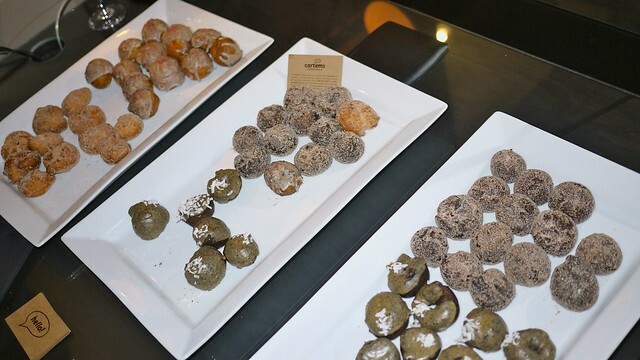 Gobbling up delicious earl grey, cinnamon sugar, and chocolate sweet heat mini-donuts from Gastown pop-up shop Cartems Donuterie. 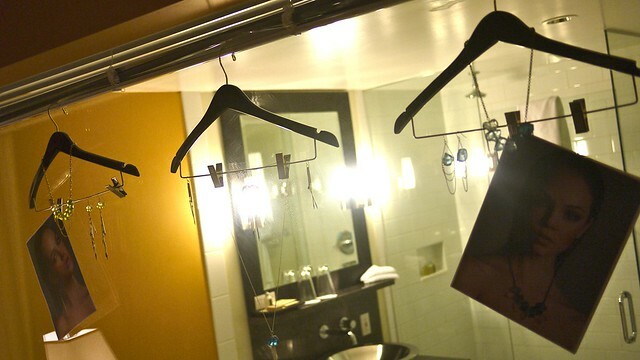 Jewelry and accessories hanging on display in the second floor hotel bathrooms. Shoes and handbags accompanying the decor and fashion sensibilities of the night.